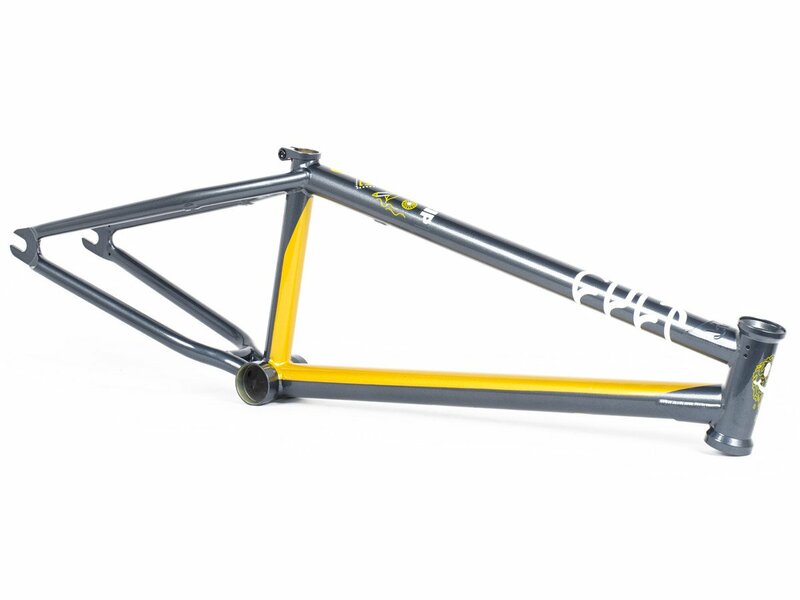 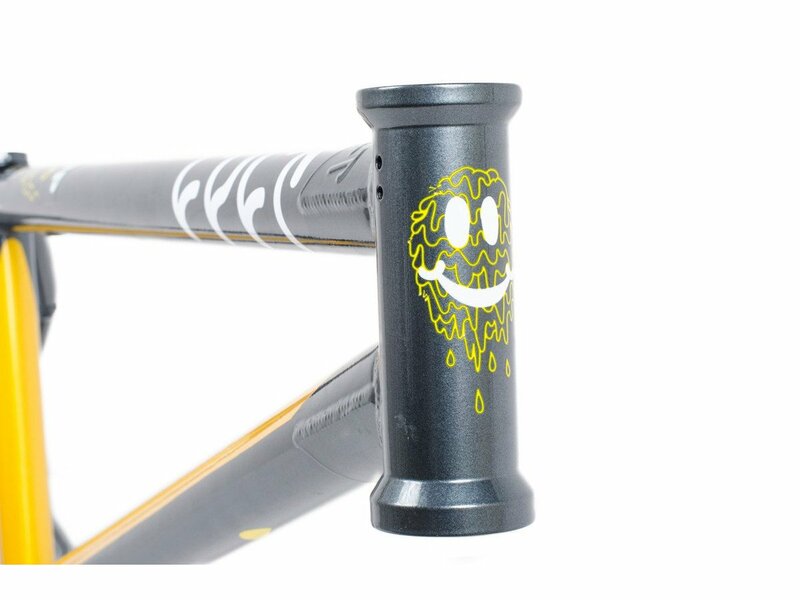 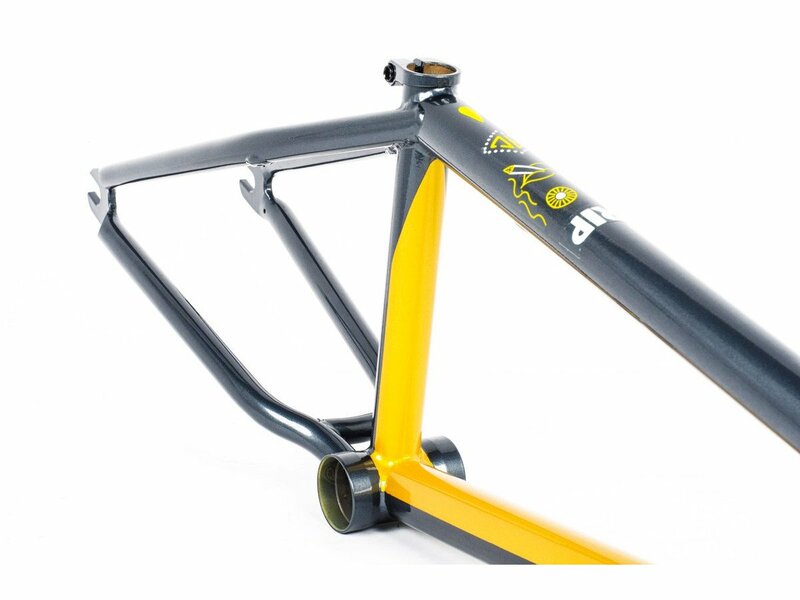 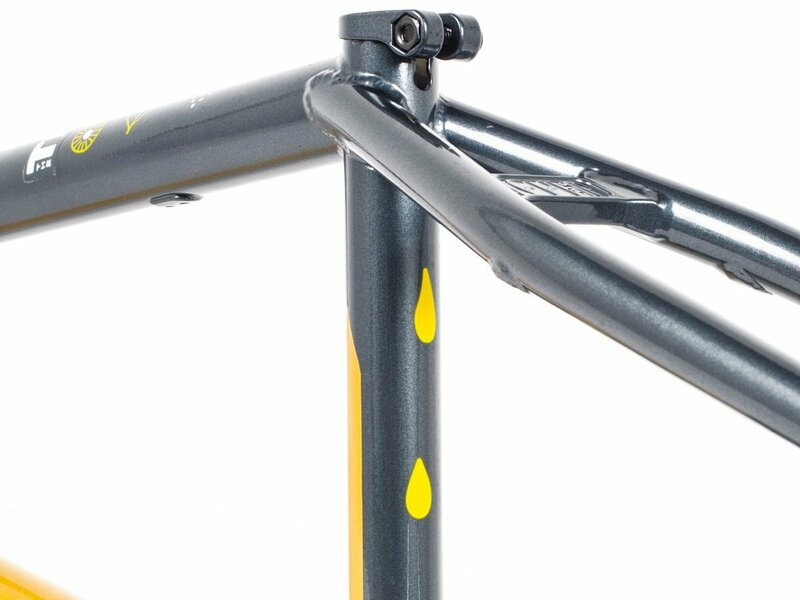 This Cult "Andrew Castaneda Shorty" 2019 BMX Frame is the signature colorway of german BMX pro Kilian Roth and was manufactured for top modern and technical Pro level street riding. 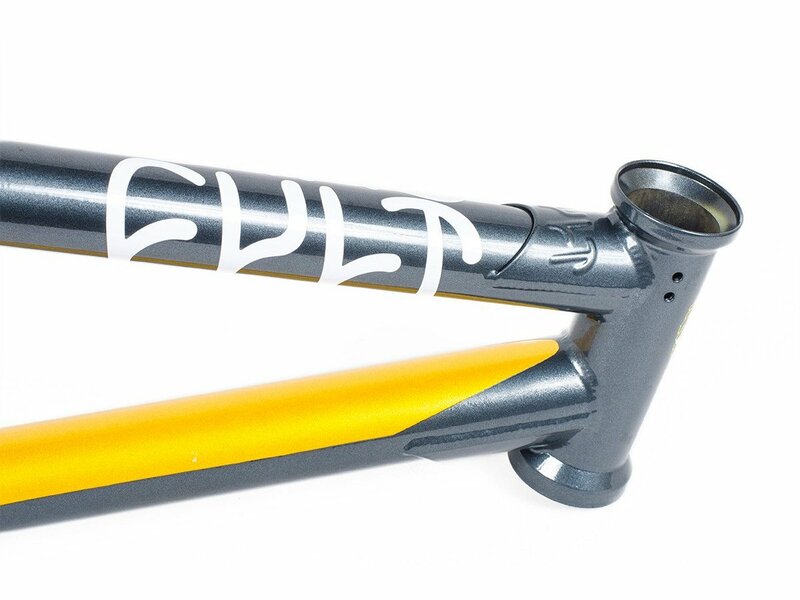 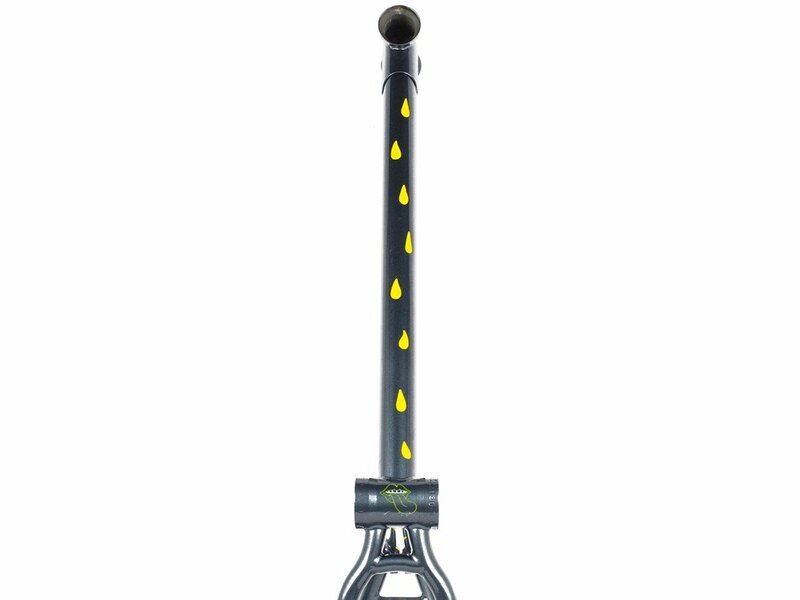 Of course this Cult "Andrew Castaneda Shorty" 2019 BMX Frame is made from best quality, partially heat treated 100% 4130 CrMo and a steep 75.5° degrees head tube paired with a medium short 13" inch rear end and a 11.7" inch high bottom bracket make this high quality Street-allround frame very maneuverable. 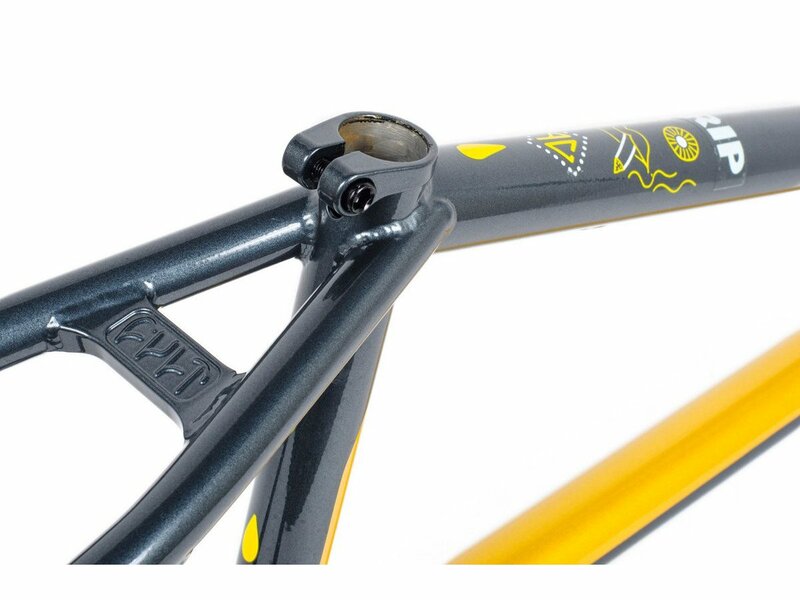 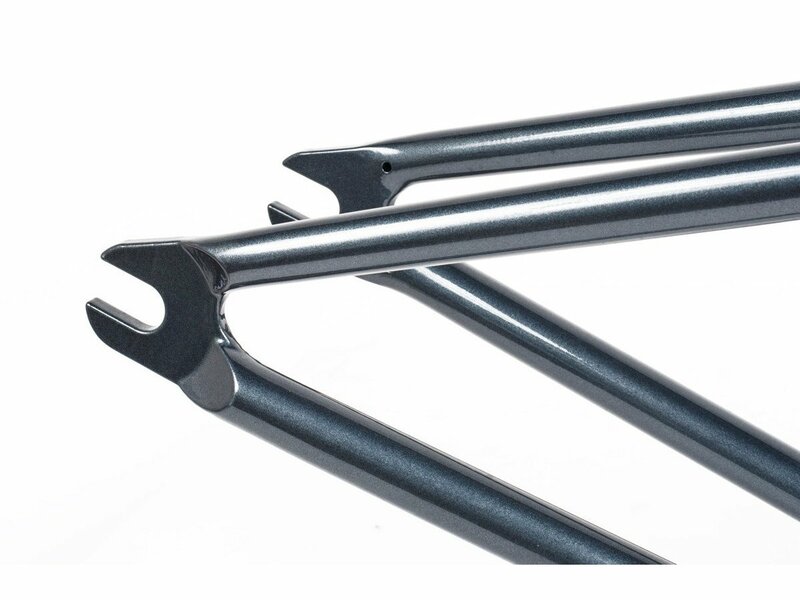 This Frame includes removable brake hardware and of course offers room for fat 2.4" inch tires.